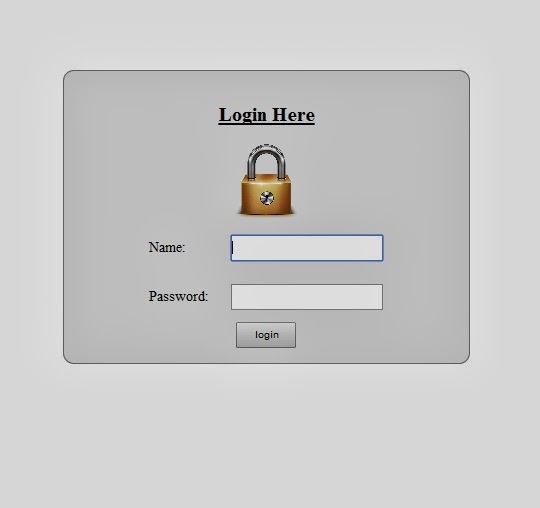 Home » PHP » Simple and Perfect Login and Logout Method Using Php and Mysql with Session. Simple and Perfect Login and Logout Method Using Php and Mysql with Session. This article shows how to make a login logout script using php and mysql with session. This login form is designed by using css and html, you may change the view of the form using your own css code. In this below example i shown to create database and table manually and insert the data manually in database. index.php shows the login form design, login.php is the main php code to check the username and password is valid or not. If it is correct home.php file will shown to the client, otherwise the error will displayed to the client.